So after almost six weeks and 284 cultural heritage organisations and institutions downloading our funding application form, this year’s TWA Digitisation Grant closed at midnight on Friday 7th July. We received over 100 applications this year, from all manner of UK archives, special collections libraries and museums looking to digitise all or part of their precious holdings. And it’s not just the volume of applications, but also the incredible ambition and quality of the projects being put forward that has been especially impressive! So now that the deadline for applications has passed, what’s next? The next stage will be shortlisting the applications down to just 20 (no easy task given the very high standard! ), which will be passed to our three judges to assess. This year we will be announcing the Grant winners via a live video stream online (if you watched our recent live video Grant update, below, you’ll know this already). At 11.30am on Monday 24th July grant judge Paul Sugden will be broadcasting live on our Facebook page and announcing the winning institutions. You can watch via PC, tablet or smartphone and can “Like” us on Facebook to be notified the second we go live. Missed this year’s Digitisation Grant? 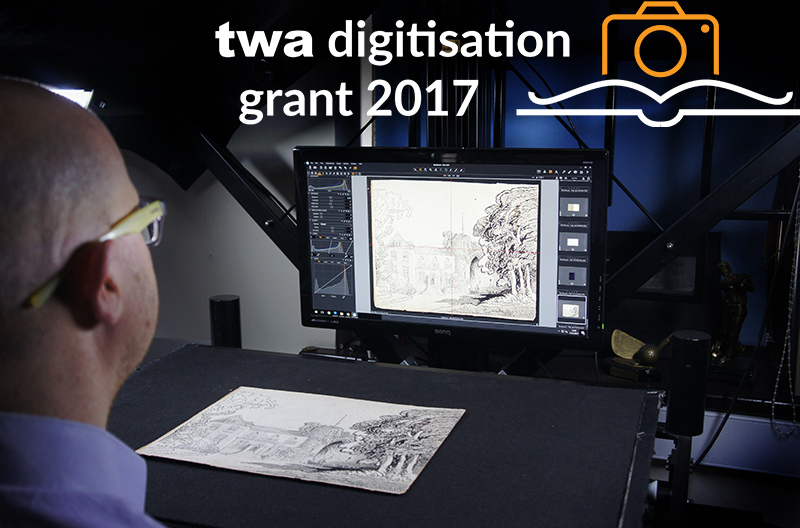 If you didn’t get the chance to put together an application for the TWA Digitisation Grant this time, fear not! We will be running the Grant again next year and you can make sure you’re among the first to know when it re-launches by signing up to our email updates. So that’s everything for now. Good luck once again to everyone who applied and I hope you’ll join us on the 24th to find out if you’ve won!